We take a closer look at the role our diets play in mental health. 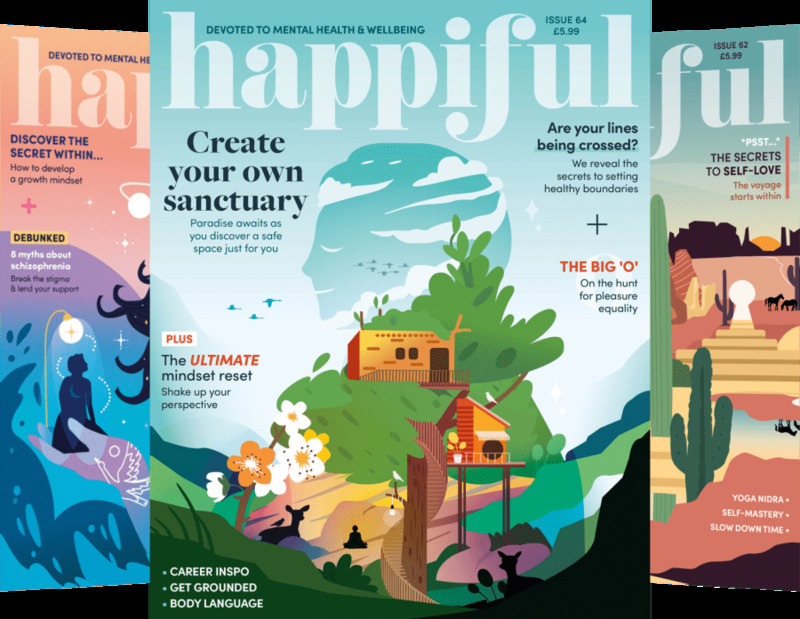 Mental health is a topic close to our hearts, and indeed the first website our founders created was Counselling Directory – a place for people to find professional mental health support in their area. Early on though, our founders appreciated the different areas of support we may need to be both mentally and physically healthy. One of those areas is nutrition (and thus, Nutritionist Resource was created). In the past people may have placed the nutrition industry in the physical health sphere, but more and more research is revealing the impact it has on our mental health. Here, nutritionist Sarah Hanratty discusses the connection between nutrition and mental wellness. There is a strong connection between nutrition and mental wellness but it is often overlooked. It seems strange to some people that their nutritional status could affect they way they think or feel. The brain is not an island and that which impacts physical health can also affect mental wellness. With declining diet quality due to busy lifestyles, food manufacturing techniques and increased consumption of processed foods we are generally eating less nutrient dense foods. Our focus on low-fat diets may have also inadvertently affected our mental well-being. The brain is around 60% fat and omega 3 fatty acids are important for neurons to communicate effectively. Food quality is not the only factor influencing our nutritional status and affecting our mental well-being. Your current diet is important, but so is the composition of your gut flora and even your mother’s nutrient status during pregnancy. How well you are able to digest and absorb nutrients is a major factor in determining both physical and mental health. 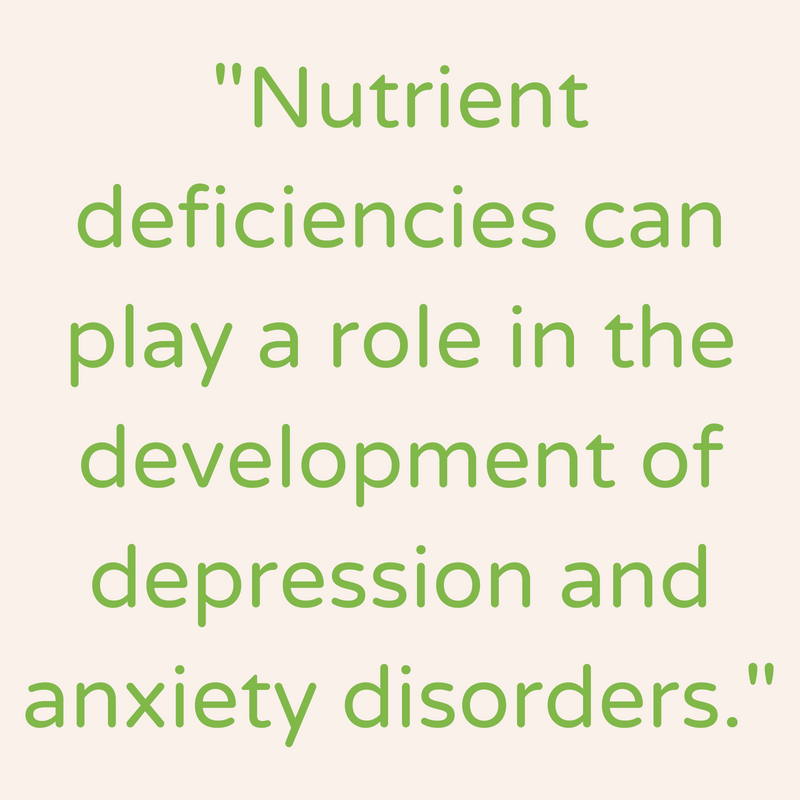 Nutrient deficiencies can play a role in the development of depression and anxiety disorders. Tangible benefits are seen where deficiencies and imbalances are identified and corrected using personalised nutrition. Key nutrient deficiencies have been observed in patients with schizophrenia and major depressive disorder, these include omega 3, vitamin D and B12. More recent research has looked at the role our gut flora play in mood issues. Our understanding about how our the gut flora and mental health are linked is beginning to grow. Certain strains of gut bacteria have the capacity to create inflammation and could influence mental health via the vagus nerve. Current research is pointing to a strong relationship between chronic inflammation and depression. High homocysteine levels have been identified in people diagnosed with schizophrenia. High homocysteine can be a consequence of poor methylation, a biochemical process that relies on specific nutrients and is affected by specific lifestyle issues. Poor methylation can also be a factor in depression. Personalised nutrition can help you to understand and address specific factors that could be affecting your mental health. This can include nutrient deficiencies, sub-clinical thyroid issues, prolonged stress and digestive issues, all of which can be assessed and improved with a tailored nutritional programme. We hope you’ll agree that this makes for fascinating reading. Something we’re learning more and more is that health as a whole needs a holistic approach. Our physical and mental well-being are intertwined and a clearer understanding of the way they relate and affect each other is necessary. We would love to hear your thoughts on this – let us know your view of nutrition and mental health in the comments below.